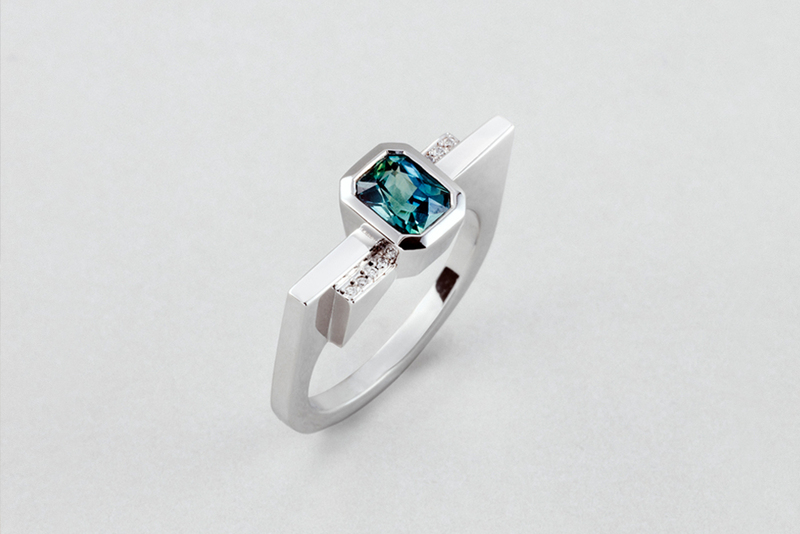 Clarice specialises in creating bespoke handcrafted jewellery; whether for an engagement ring, wedding band or special gift, we'll work closely with you to design and create a beautiful piece that’s completely one-of-a-kind. Each bespoke piece is designed and created by hand through the use of both new and traditional techniques. Almost all of the process takes place in-house by Clarice with the exception of specialist techniques such as CAD, stone setting and engraving where we use local skilled craftspeople. We work on commissions through meetings at our studio, or if you are based outside London, via phone and email. If you'd like to work with us to create something special please get in touch through the 'Bespoke Enquiries' button to the left. To read some testimonials from our customers about working with us see the 'Kind Words'. To give you a better idea of the stages involved in working with us and some of our previous pieces, please see below. At the studio consulation we'll be able to discuss any ideas you've had including the design, metal and stone choice, inspirations, budget and deadline. Bespoke pieces vary in price depending on the materials used and the design, please email us to see if we're able to work within your budget. Normally the process will take around 4-10 weeks from design to completion based on the design. 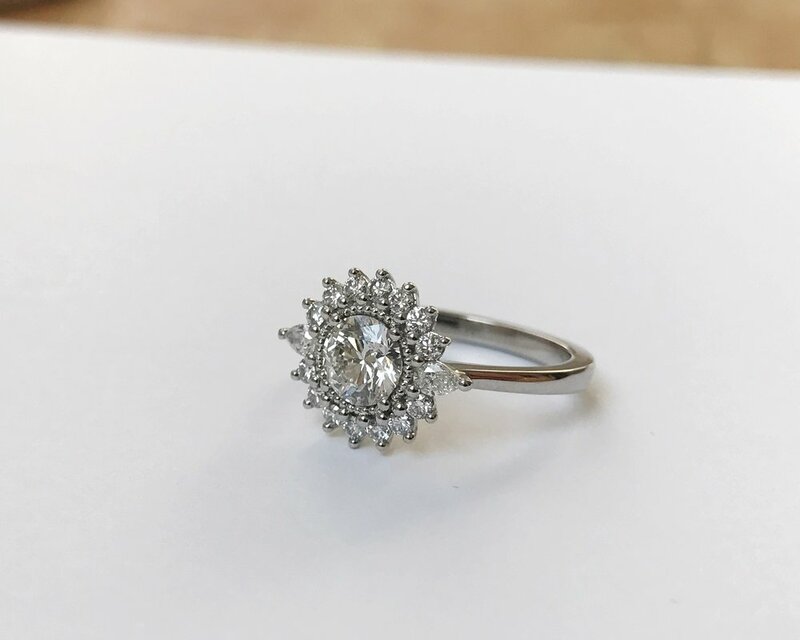 Based on the initial consulation, Clarice will then source a selection of stones to show you alongside her designs which will be tailored to your specifications and fit within your budget. We work closely with gemstone dealers in London and are able to source a variety of stones from high quality certified diamonds to more unusual gemstones and cuts. Due to the nature of a bespoke piece, we'll be able to tweak the design until it's absolutely perfect for you. Once the design has been agreed upon and finalised, you will be provided with a quote, a proposed completion date and an invoice for the first 50% payment towards the piece. Your piece will then be crafted to the specifications of the final design, using the stone(s) you have selected. As we works on your piece she'll be able to keep you updated with photos and progress along the way. Once the ring is finished, the last invoice will be sent to you for the final payment. The piece can either be collected by hand or we can arrange for it to be posted to you. 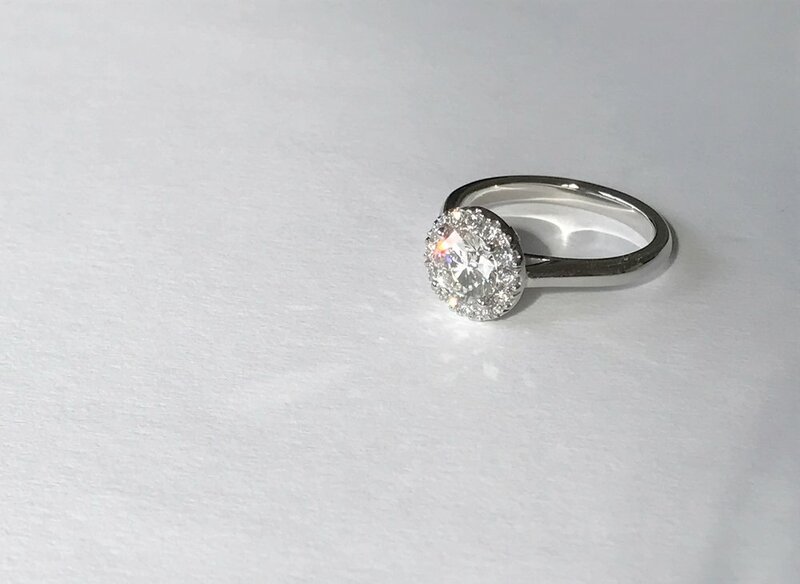 All bespoke pieces come ready to give in a box along with any relevant stone reports, information on jewellery care and if you wish (at a additional cost) we can arrange to have a valuation carried out for insurance purposes. As your bespoke jeweller, you are always welcome to come back to Clarice to have your piece checked over, polished up again and of course discuss any future projects you might have.